Enjoy a morning swim in the 8m x 5m salt water pool with a depth ranging from 0.5m to 1.8m. Before and after swimming, we recommend you to use the exterior shower. The garden is well-kept and offers lot of space for a family picnic or for the children to play - there are also two swings for our small guests! Enjoy a relaxing morning basking in the sun; there are six loungers. 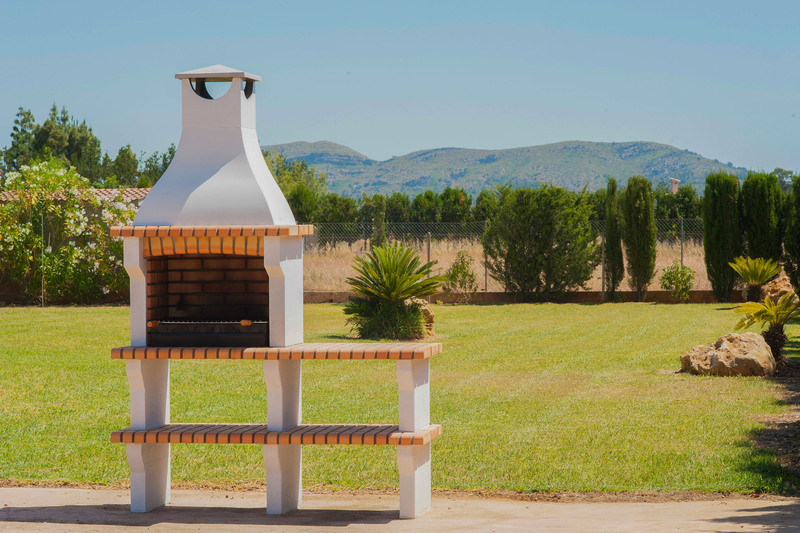 If you like cooking, you could prepare tasty meals at the barbecue. 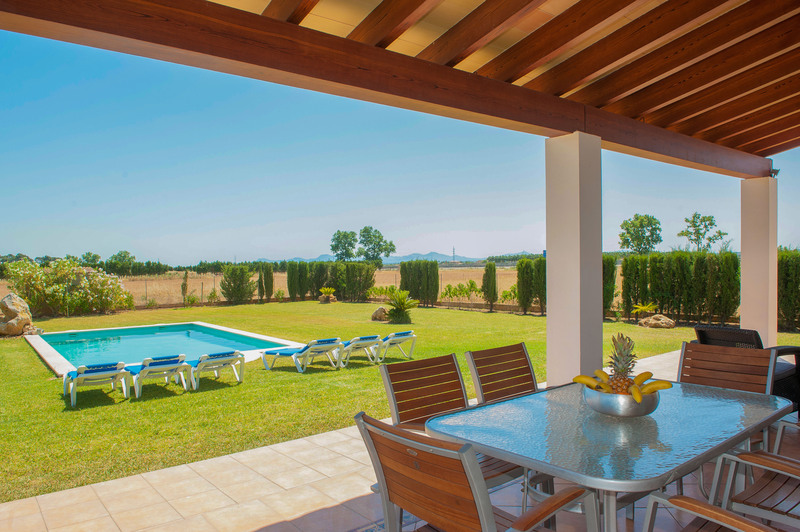 The poolside porch has lovely views over the countryside and is a nice spot for having lunch. If you fancy sports, you can challenge friends and family at the ping pong table. 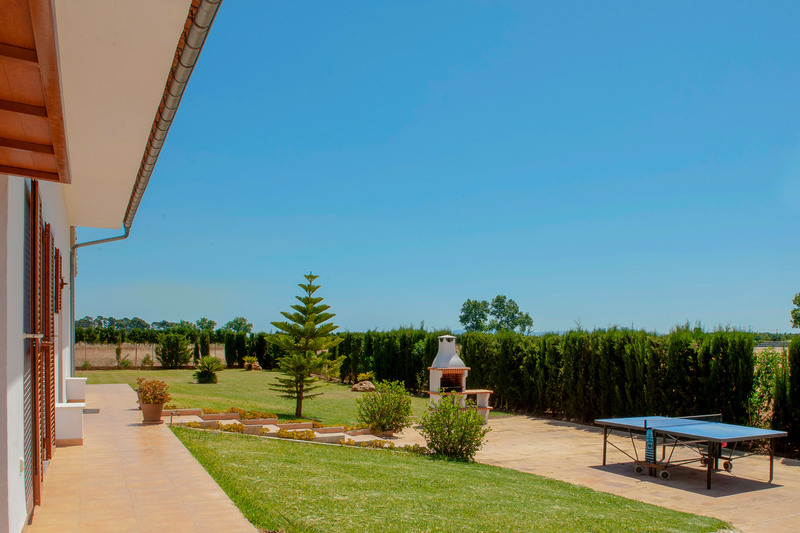 The house is within a 14000m2 plot, which is fenced. There are no direct neighbors, so you'll enjoy privacy. The modern rooms are distributed over one floor. The porch gives access to the bright living room with satellite-TV, DVD player and Bluetooth music equipment. The kitchen with dining area is well equipped, including an induction hob. A washing machine, iron and ironing board can be found on the terrace. The villa offers three cozy bedrooms, two with a double bed and one with two twin beds. All three come with a closet and have access to the terrace. If you come with your baby, we prepare a cot and a high chair. Two bathrooms (one with shower and the second with bathtub) are available. There are three fans and three electric radiators. 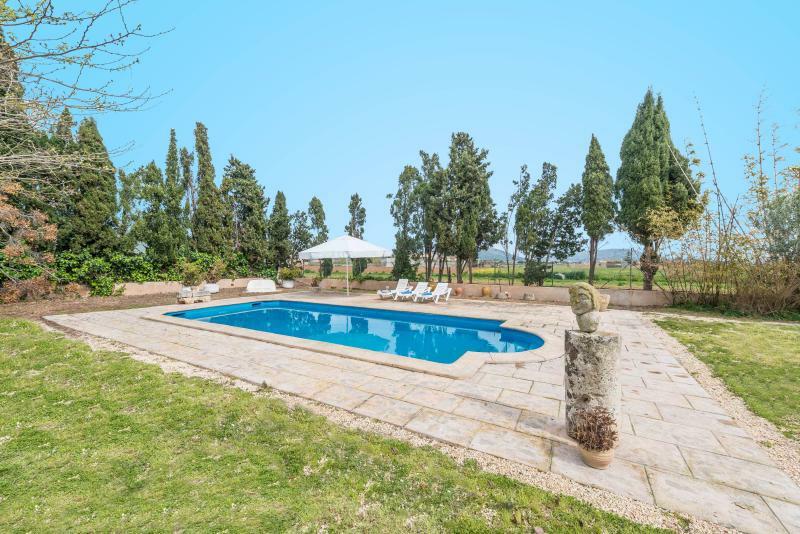 Sa Pobla is a genuine village in the center north of Majorca, just a 15 minutes' drive from Playa de Muro Beach and the golf course of Pollença. You could visit the old town of Pollença or the Calvari. 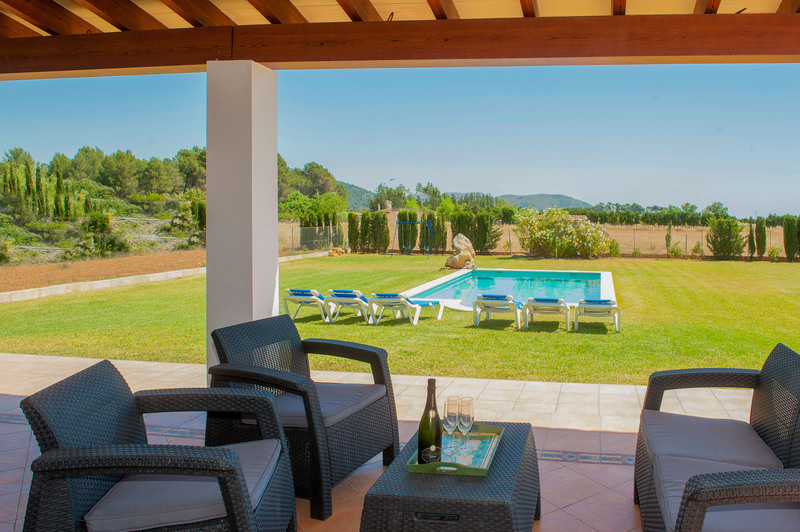 Supermarkets, restaurants and much more can be found in Sa Pobla. If you like tapas, you could try this delicious small dishes on the main square of Sa Pobla and meet the locals. The northern beaches are mostly fine grained with moderate swell and family-friendly. Puerto de Alcúdia and Can Picafort have - during the summer - a big leisure offer. Villa wie in der Anzeige beschrieben. Alles Sauber und die Ausstattung war voll funktionsfähig. Garten und Pool sehr gepflegt. Gerne wieder!